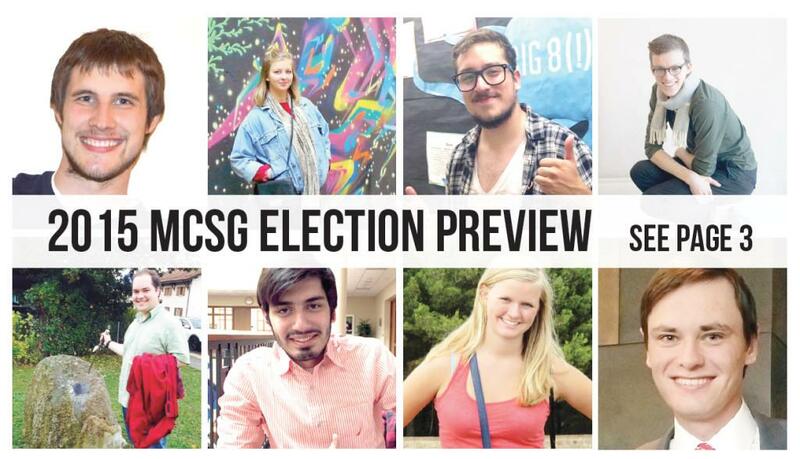 For our annual election guide, The Mac Weekly distributed questions to MCSG candidates. We’ve printed the responses below unedited to allow the candidates’ voices to speak freely. We hope that these responses are informative and helpful as you go about making your decisions on who to vote for this year. We have chosen not to endorse candidates this year. 1. Why are you running for this position? I have a year of experience on the SOC when I served as the liaison for the media orgs, and I will say that that was one of the best experiences of my time at Mac. The opportunity to serve orgs, help them troubleshoot everything from card access to leadership disputes, and then see the positive impact I was having was incredible. I would continue to do that for all orgs should I be elected as chair. 2. What experience do you bring, and what do you think you could contribute to MCSG and the Macalester community if elected? I bring a year on the SOC, 1.5 years on MCSG, and an immense degree of institutional knowledge via my connections with dozens of departments on campus. 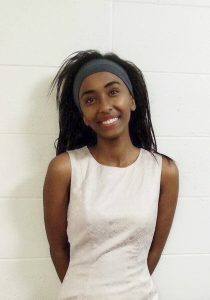 I have made serving the Macalester community the primary focus of my time at Mac. From Green Dot Bystander and Sustained Dialogue trainings, to serving as an OL and now an Orientation Coordinator, from my time on Student Government to three Campus Committees, and from my work with the Institute for Global Citizenship to my Neill Award for commitment to the Macalester community, I have and will continue to serve this community by working to increase interpersonal connections, build new relationships, and create a functional, active, and vibrant community. I would make MCSG more accessible and useful to student orgs, and students in general, and use my institutional knowledge and connections to help more groups and more students attain success in their endeavors. 3. What are your goals if elected? I would make the SOC more of a resource, and a more useful one at that. Many students and orgs don’t know we exist, but we do. I would make sure we contact struggling orgs and help them: finding spaces for events and capital; planning campaigns to garner new members; help them navigate additional allocations and budgets, or leadership transitions; manage disputes/internal conflicts. I would also continue to chip away at the apathy towards using OrgSync, and should I be elected, I would begin working this semester with the FAC Chair to improve the budgeting process. 4. What is your leadership style? I am a straightforward leader, and I lead by example. I would put in as much or more as I would expect of my peers on the SOC and MCSG. I recognize all opinions and voices, and I would work to make our initiatives as inclusive as possible, and I would put into practice all of my training and experience to make sure no one is silenced. I appreciate delegation and trust in my partners and committee members. 5. Is there anything you would change about MCSG? If so, how would you go about it? I would make MCSG more transparent and more accessible. There is a huge gap between MCSG and the student body, and within MCSG between the Execs and the class reps. I would break that barrier down, and make sure to publicize major conversations on campus to better inform both reps and the student body. I would also encourage us to be proactive in helping those who need it, instead of waiting for them to ask. 1. Why are you running for this position? Every student on campus has certain interests, strong passions and specific dreams. The SOC helps students explore their interests, dive deep into their passions and transform their dreams into a reality. Chartering new orgs and opening avenues for many students, is undoubtedly very satisfying and rewarding. Being the chair of the SOC will allow me to continue to feel this sense of satisfaction and will give me the keys to open many more doors for many more students. 2. What experience do you bring, and what do you think you could contribute to MCSG and the Macalester community if elected? Having already been on the SOC for a year, I have been able to pick up the “tricks of the trade.” I have learnt and grasped a lot, however, learning is a life-long process and I hope to learn a lot more along the way! Throughout high school, I have had various leadership and teamwork experiences. I hope to make the best use the leadership skills I have acquired so far and work as a unified team all through. 4. What is your leadership style? As a leader, I have to make decisions. I make decisions only after taking into account the opinions of all members and after coming to a consensus. I strongly believe that in order to command respect, I must give respect. My style of leadership, allows me not only to lead, but also to learn. More than just speaking, I listen, I communicate and I get feedback.I hope to serve as role model for my successors. 5. Is there anything you would change about MCSG? If so, how would you go about it? I hope to see much more involvement from the student body, in MCSG. I would accomplish this through inviting various student groups for the LB Meetings so they can express their concerns. Having informative events hosted by MCSG will allow students to know what’s going on in the board room! We recently hosted an informal “First Year Rep Night” where we spoke to the students of our class, heard their concerns, and will now be addressing them at the LB Meeting. I look forward to organizing more such events, which would allow me to feel the pulse of the student body and serve as a true liaison between the student body and MCSG.